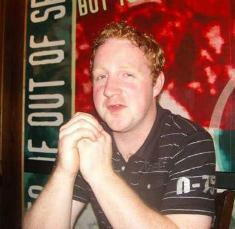 On October 23, 2008 James Patrick (JP) Grealis last had contact with his family in Ireland. Since then nothing has been heard from him. He was last seen in Breda Netherlands.There were several sightings of him in Eindhoven during the 1st week of November but there has been nothing since. He has red wavy hair, slim build and broad shoulders. He always wears jeans, a T-shirt and hooded sweaters. He has a habit of walking with his sleeves over his hands.